I have a 1968 Delta 88 with the stock steel wheels/hubcaps. 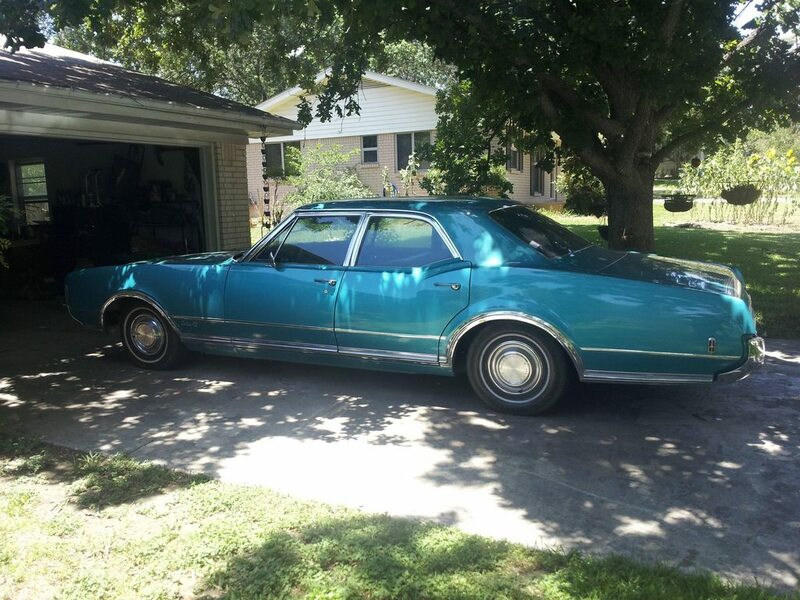 I am looking at this front disc set up that will require I get larger rims, the kit says I can use '71- GM steel wheels...and luckily I have a '76 cutlass sitting around, with post-'71 steel rims on it. however, my hubcaps won't fit on the later wheels, and I'm sure the wheels were larger for a reason, so I can't put the '68 wheels on the cutlass. does anyone know if I can buy steel wheels that will accept the smaller hub caps? also budget-in-mind, I'll take suggestions for alloys that would look kickass on my car. I don't want to put 20s or anything massive on it, and a little more grip in the rear would help. I'm going for a classy looking daily driver here, not a race car or a show car. "This setup eliminates the stock ball bearings with safer, cheaper tapered roller bearings yet still preserves the stock 5 on 5 inch bolt pattern. " weird that they skipped 1965 Big Cars in the list of applications. What's different about the '65 Olds Big Cars ?? 1965 models require rework of the stock drum hub due to use of smaller bearings. and I'd imagine that the '59-'64 cars may have used ball bearings instead of tapered bearings. You are correct my 64 uses ball bearings. I have doubts that your '76 Cutlass wheels will fit your '68 Delta 88. The bolt pattern on your '68 should be 5 x 5". The bolt pattern on the Cutlass should be, 5 x 4.75". When I switched from 14 x 6 wheels to 15 x 7 wheels on my '67 Delta, I used 15 x 7 Chebby truck rims from the '80's. My wheel covers from '67 would no longer fit, so I ended up purchasing wheel covers from a '73 Olds with 15" rims. The reason I switched from 14" wheels to 15" wheels was because I couldn't obtain the proper size 14" radial tires. I believe the proper tires are non-existent. My '67 Delta originally had manual drum brakes. Adding a power brake booster greatly increased my stopping power. I would suspect that your car already has power (drum) brakes, but I know, you most likely want to be able to stop even sooner. Stopping when we want to is a very good thing. Good Luck! Last edited by Jaybird; June 28th, 2013 at 11:07 PM. The 65-70 Chebby full size cars used different spindles, wheel bearings, rotors, etc. Ball joints are Chevy-only and do not interchange with the Olds ball joints, so I do not know if you can put Chevy spindles on the Olds control arms without major machine work. Joe, I was thinking about a complete exchange of all front suspension, everything that attaches to the frame, upper and lower a arms, sway bar, and all attached hardware and parts. That is why I was saying I believe the frames are the same because, if they are, this exchange would work for the front suspension and the rear exchange as well. 14" Wheels to 15" Wheels?